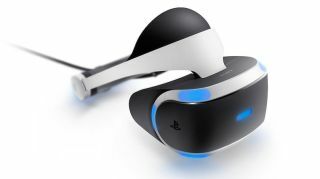 Sony's PSVR headset to get 3D Blu-ray support | What Hi-Fi? A software update will empower Sony's PS4 to play 3D Blu-rays using the PSVR virtual reality headset. If you have a stack of 3D Blu-rays but no 3D TV to watch them on, your PS4 will soon be able to help. Sony's console can play 3D Blu-rays already for viewing on a compatible TV, but it has now announced a software update that will let you watch them in stereoscopic 3D on your PSVR virtual reality headset. While that does mean you won't be able to watch with anyone else, with the recent trend for manufacturers to drop 3D functionality in their new TV sets, it could well be a useful addition.. The update - version 4.50, codenamed Sasuke - also lets you add an external hard drive to free up more space on your console. The console has supported external hard drives for a while now, but it was limited to media such as films and music, not games. With this update, Sony lets you install games on the external hard drive too, and run them on your PS4. So no more deliberating over which game to delete to free up space. It also brings some neat cosmetic changes. You can use any in-game screenshot as your wallpaper, for example, and both the Quick Menu and Notifications List have been streamlined to make them simpler to use. And you can post text, screenshots and gifs directly to the Activity Feed, and tag games and other users to make sure everyone knows about your achievements. Sony notes there are more features included in the release, but is keeping mum on exactly what they are. If you're signed up to the beta programme, you should be able to try the new features immediately. The update will be released to everyone else "in the weeks to come".